Luigi Marattin, former economic adviser to past prime minister Paolo Gentiloni, has no doubt about it: if Rome’s new populist government adopts all its “absurd” proposals, Italy will certainly fall into the “debt pit” and become the second Greece. “It’a not just a risk. It’s a concrete possibility. If the Lega party and 5 Stars Movement coalition parties breach European fiscal rules to fund their ruling agenda, this country is doomed,” he warns. Marattin, an economics professor and newly elected deputy for Emilia-Romagna is now leader of Democrat Party interests inside the Lower House’s budget committee. He is flabbergasted by the off-the-wall announcement made earlier this week by deputy premier Luigi Di Maio, that Italy is ready to breach the EU’s sacrosanct 3% deficit-to-GDP fiscal rule: An untouchable threshold which has so far prevented the monetary union from falling apart. 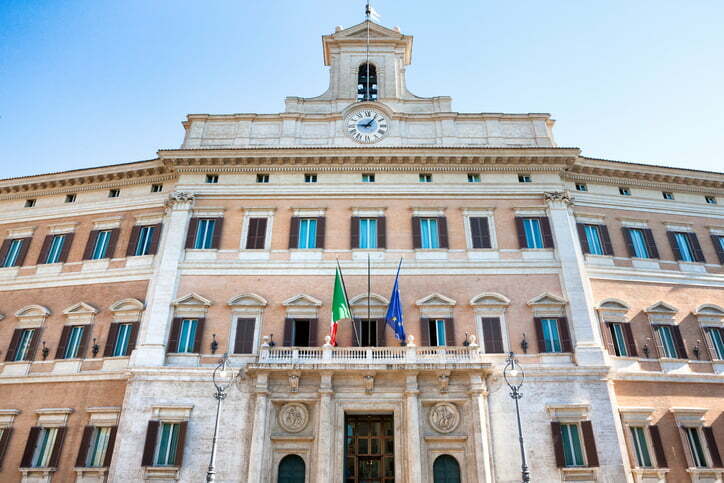 Palazzo Montecitorio is the location of the Italian Chamber of Deputies in Rome, Italy. That might sound a bit apocalyptic, but the actions of the coalition government are being treated with increasing concern by domestic and foreign observers alike. Such consternation sits in an already precarious international context says Marattin: “We are in a very delicate moment, there are indeed a mix of factors that can jeopardize the global and European economy – the escalating trade wars, the harsher-than-expected Brexit, the ripple effects of the Turkish crisis and the tightening ahead of the European Central Bank’s monetary policy – all of which are certainly of great concern but their impact on Italy is limited compared to what the populists are able to do,” he argues. Internal risks have never been higher than now. The coalition is expected to approve the new budget soon and markets are already beginning to price in a potential jump in the Italian deficit. This week Goldman Sachs estimated a populist budget could see it widen to as much as 7.4% of GDP in 2019. As an adviser first to premier Matteo Renzi in 2014-2016, and then to successor Paolo Gentiloni, until his departure earlier this year, Marattin has closely followed all high-level EU meetings and has contributed in pushing forth reformatory ideas for the eurozone. He is all too aware that Europe is in flux but believes Italy’s place remains within the European union and the euro club. “If we want to be serious, let’s be serious. One thing is supporting a serious restyle of the European union, another all together is sponsoring absurd plans such as having the European Central Bank cancel Italy’s debt, like the populists wish. That’s a joke, but a killer one,” he stresses. But it’s not a game. Italy can be saved only if it follows the European rules and contributes to the eurozone’s reformatory process as an active player – by supporting the integration progress, says Marrattin. His Democrat government succeeded in making the European Commission adopt fiscal flexibility clauses and has since sponsored the creation of a EU finance minister, a single European budget and the rise of the capital market union. “Now these are all serious goals, including steps forward in the banking union, more burden-sharing among member states, and the issuance of euro bonds to fund common needs. This is how we strengthen the eurozone but the path ahead is uphill, bumpy and hazardous. 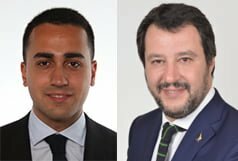 Europe needs more team play and populist Italy is not willing to cooperate.” In his view, the populists are shifting the focus and placing all the blame for Italy’s dysfunctions on the EU and the ECB, in search of a scapegoat. But the sad truth is “Italy doesn’t need any external help in damaging itself, it is already doing a great job on its own”. Marattin is keen to point out that the European union is a confederation of states, so the mission of tackling high sovereign debt, expanding the eurozone and ensuring the future of the single currency by shielding it against a reversibility risk, lies solely on the shoulders of single member states. No other institution can do the task. One the other hand, he says “the ECB has already done way too much” to ease the sovereign burden on states. The quantitative easing (money printing) program has given all peer members a hand in the economic recovery, but like all good things, it must come to an end. However, European states must not look ahead in fear, he says, but they should roll up their sleeves and work hard because the end of the quantitative easing, expected in December, is bound to mark a turning point for the eurozone. Even though the ECB will still continue to lend a hand, the reality is that national governments must start curbing public finances and boosting growth – a hard task which to which Marattin sees Italy as totally “antagonist”. “It’s not the end of the road: Frankfurt’s accommodative stance will continue, by reinvesting for an extending period of time maturing securities purchased during the quantitative easing and by keeping interest rates low until at least next summer. But, please, we’ve got to stop thinking the ECB is our saviour, that it can solve all problems by doing things it simply can’t.” Marattini is desperate, concerned that all efforts made by previous Democrat cabinets in these past years to stabilize debt, adjust public finances and kick-start the economy after a triple-dip recession will be literally destroyed. 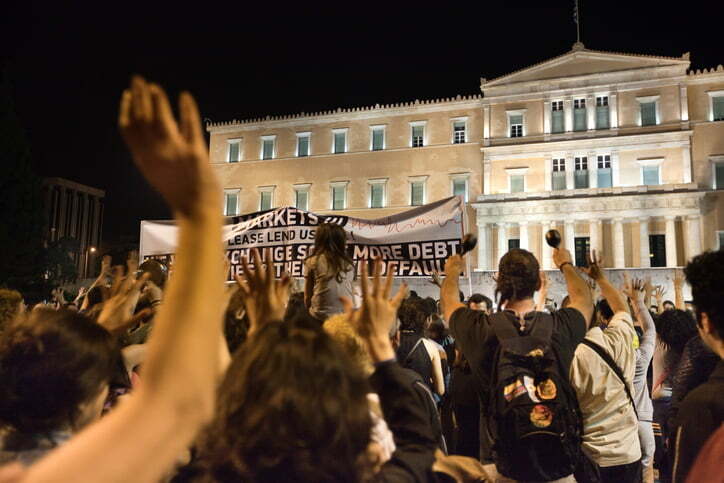 Greece’s relationship with the EU has been fraught to say the least since austerity measures were imposed as conditional to bail-outs. The new coalition government is helpless, and hopeless, he says. 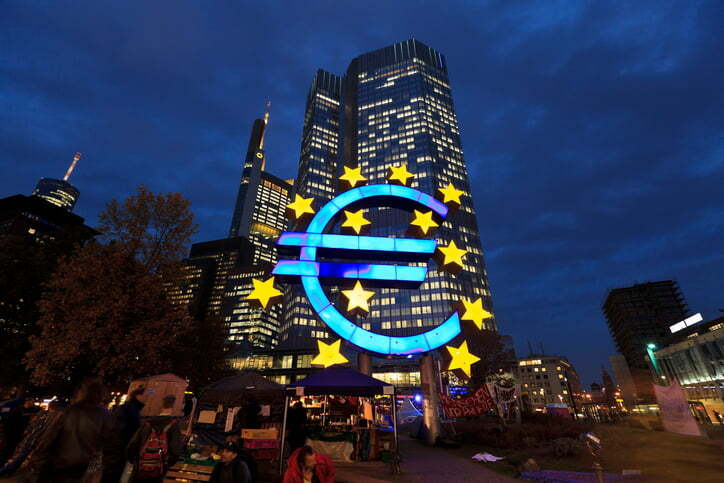 Instead of simultaneously blaming and begging Frankfurt, it should take a dose of realism and realize that the benefits of the ECB’s monetary policy are being thwarted by populist opposition to integration. “It is not the ECB’s fault if the eurozone lacks ‘safe’ treasury bonds and assets to off-set sovereign attacks. Neither is it its fault if productivity in Italy is low and growth is slowing down in Europe. It all depends on domestic economic choices made by each country.” That’s why Italy cannot afford to err and follow Greece’s footsteps.